Robert Lucas focuses his practice on corporate and transactional matters and is located in Dinsmore's Chicago office. When businesses need experienced, practical-minded counsel, they call Bobby, who leverages a thorough understanding of corporate and finance law to serve as an ally and trusted adviser to his clients. He counsels clients - ranging from early stage businesses to privately-held middle market companies to Fortune 500 companies - on all aspects of corporate transactions, including mergers, acquisitions and divestitures. Bobby also represents private equity funds in portfolio company and bolt-on acquisitions. His experience extends into the commercial finance world, where he represents both borrowers and lenders in secured lending and finance transactions, including mezzanine credit facilities. His practice extends into the sports realm, where he has advised a variety of sports entities and owners in corporate and contract matters. As many of his clients have very few or no in-house attorneys, Bobby and the firm often serve as general outside counsel addressing legal issues, which allows business owners to focus on their business. Clients appreciate his practical approach to legal matters and his understanding of the law from a business perspective. Because he tailors his approach to fit each client’s distinct needs, Bobby is able to advise clients on general corporate issues, including commercial contracts, business succession, corporate governance and entity formation. As part of a full-service firm with a national footprint, he utilizes the network of attorneys and other experts available to him to provide value to his clients in a thoughtful, coordinated way. He takes the time to learn each client’s business and takes an interest in the client’s success as if it were his own company. 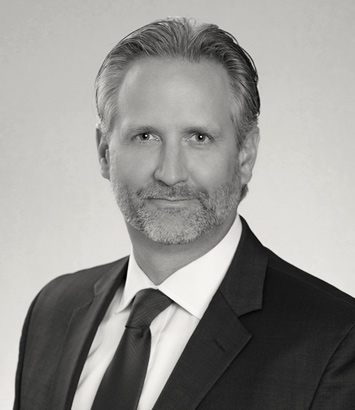 His experience in the corporate arena includes: commercial contracts, succession planning, corporate governance, corporate reorganizations, shareholder agreements and operating agreements, and private debt and securities offerings. Some of Bobby’s representative clients by industry include: a health care consulting firm, a manufacturer of food/beverage packaging products, a telecom construction and service company, a specialty chemical manufacturer, an international provider of satellite services, a product design and development firm, an electrical engineering firm, a marketing company, a security services company, and portfolio companies of private equity firms. A respected leader in the firm, Bobby is the office managing partner in Chicago and has been a major driver in the growth of the office. He is a member of the firm’s Board of Directors, chair of the Corporate department and sits on the Finance Committee. A native of the Chicago area (and a huge Chicago sports fan), Bobby knew from a very early age he wanted to follow in the footsteps of his great uncle and uncle, who were in private practice together. His personable style and the usually collaborative nature of the practice is what led him to the corporate area of law.